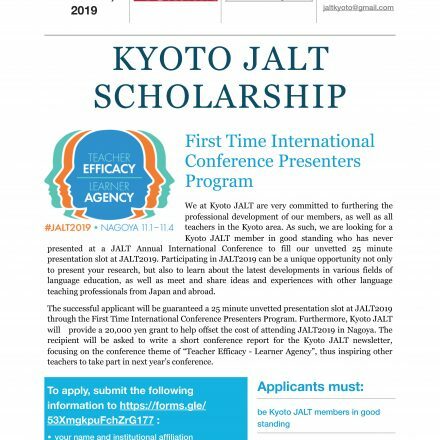 Are you a Kyoto JALT member and interested in presenting at JALT National for the first time? If so, you are eligible to apply for the Kyoto JALT scholarship. One winner will get a chance to fill an unvetted 25-minute presentation slot, as well as receive 20,000 to offset costs. Please read the flyer for more information.